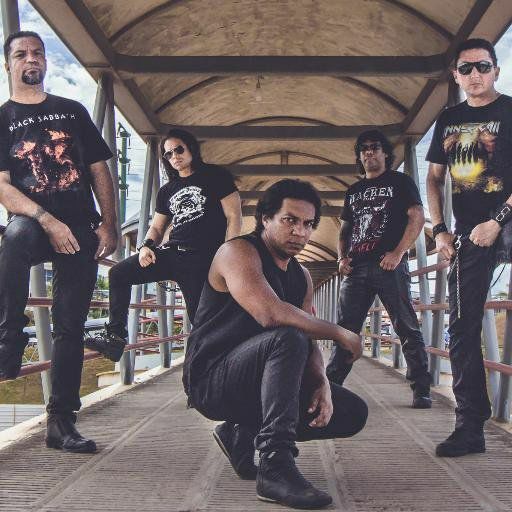 The Inner Call band emerged in 2009 in the city of Salvador in Bahia (northeastern Brazil), under the name of “On The Rocks” the band consisted of musicians from other bands known in the region as Postmortem and Faction. Due to the discovery of other bands named “On The Rocks” the name was changed to “Inner Call” which is also the name of one of the compositions of the band. In 2009 launched the demo-tape “On the Roads” whose promotional shows yielded good response for the band, as a result of this impact were selected to participate in important events such as the festival Valent Rock along with Andralls band. The band took a break in their activities due to drummer address change, and for this reason, the band had its headquarters and activities transferred to the city of São Paulo with a consent of Bahia musicians who leave the group and new musicians of the city of São Paulo were incorporated. Guitarist Ricardo Oliveira was the first member to incorporate the band at the time along with drummer Luiz Omar, but guitarist chose not to proceed with the work and the formation it was defined with the musicians Fabio Lima (vocals), Rafael Perera (Guitar) Renato Passero (Guitar), Regis Farina (Bass) and Luiz Omar (Drums / Backing Vocals). The band with this new training began writing and recording their debut album, the CD “Inner Call” which contains eight tracks and was released in late 2015, the record depicts an everyday world of ordinary people, leading a normal life, subject to pressures at work, experience with drugs, personal frustrations and many fears. Due to internal problems, the Inner Call band fell apart during the release of the debut album and with the return of drummer Luiz Omar to Salvador where the Inner Call band returned to have their registered office, new members were added to the group, by end, the band thus stabilizing the musicians Roberto Índio (Vocal), Alexandre Vitorino (Guitar), Benson Lisboa (Guitar), Uiliam Rock (Bass) and Luiz Omar (Drums/Backing Vocals).